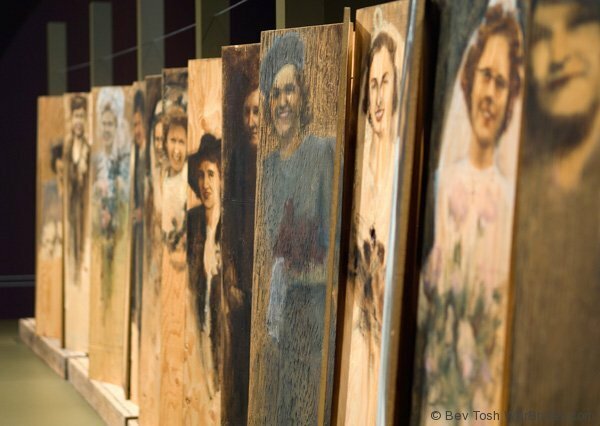 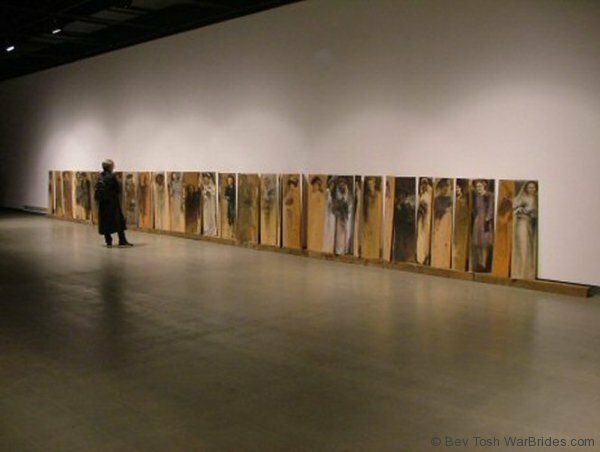 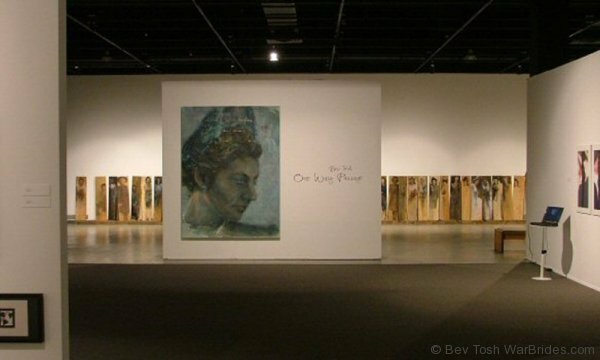 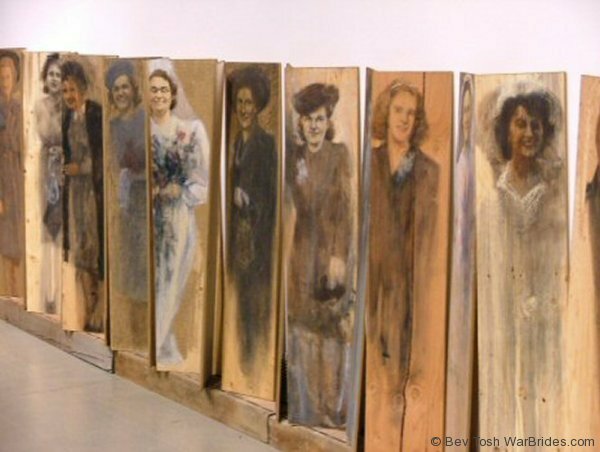 In 2001, Bev Tosh painted a huge portrait of her mother as a young war bride. 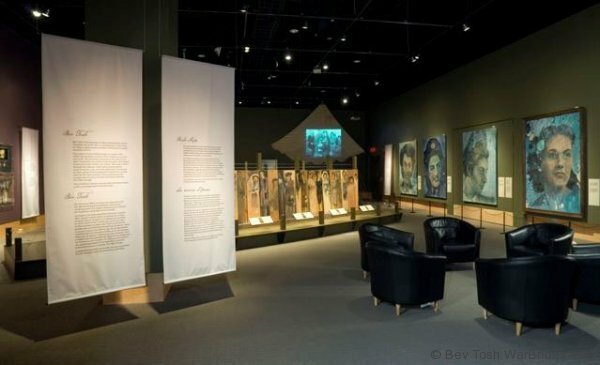 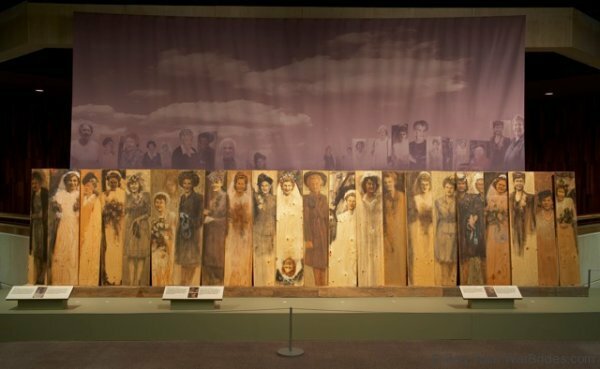 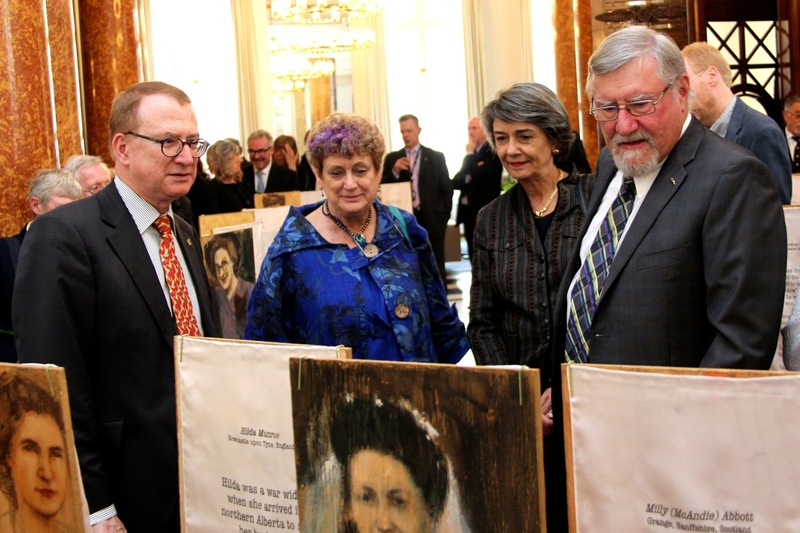 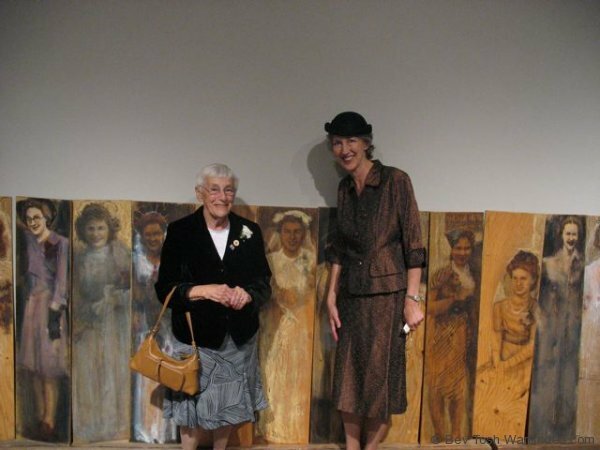 That painting, which was displayed in the main entrance hall of the Canadian War Museum in Ottawa, was the beginning of a passionate pursuit to commemorate all war brides through her artwork. 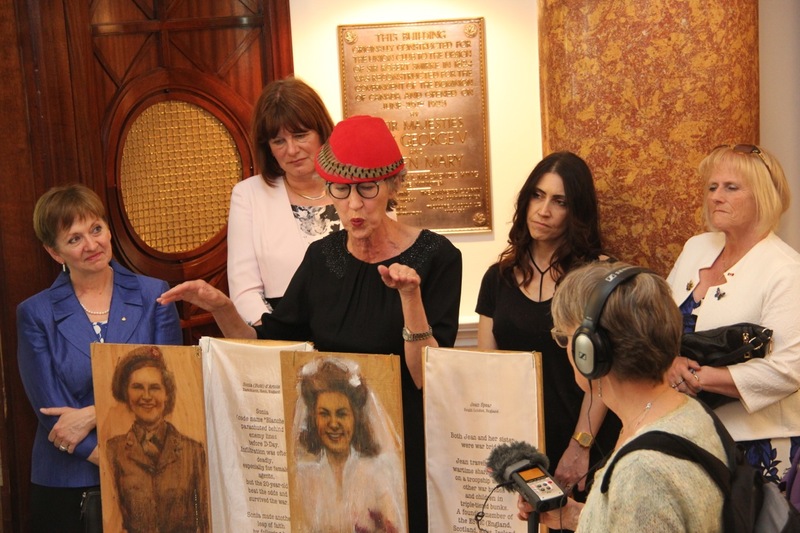 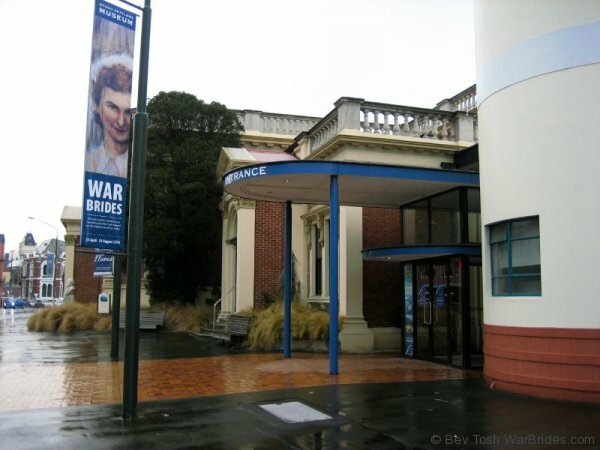 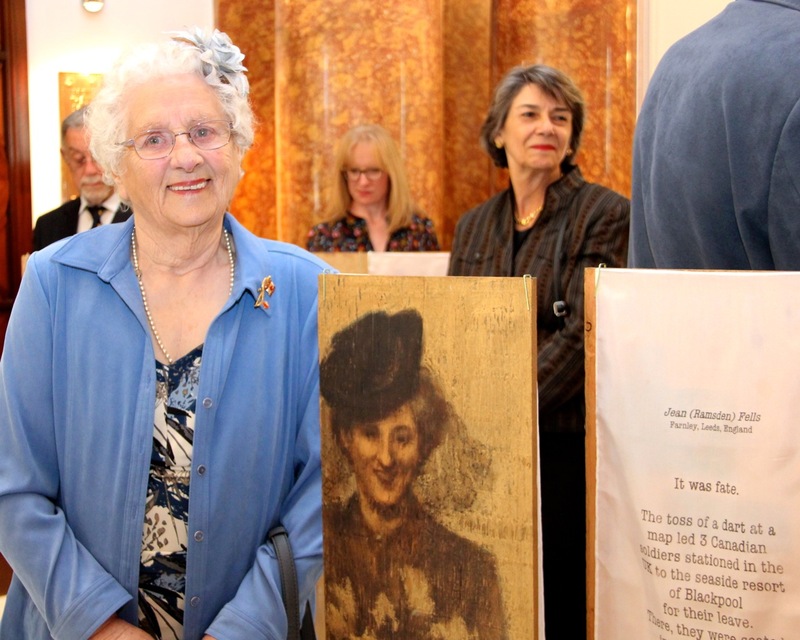 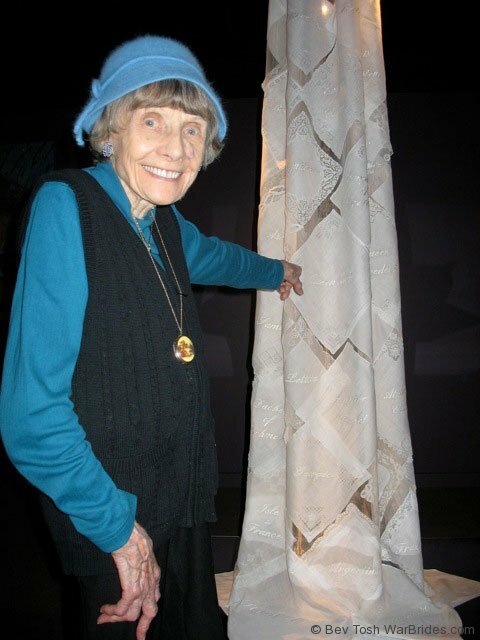 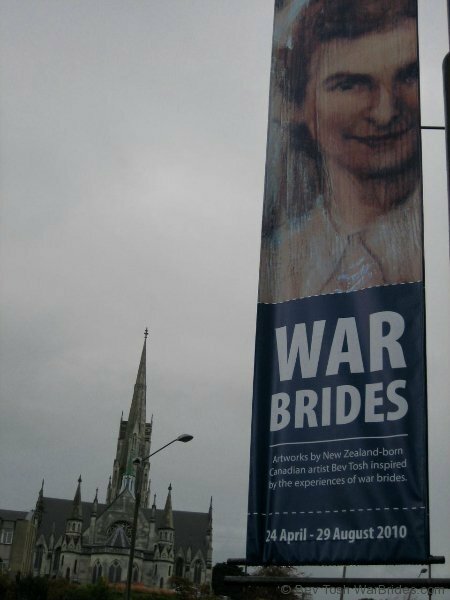 It has evolved into a major touring exhibition called “One-Way Passage,” which is the result of hundreds of personal interviews with war brides in North America, Britain, Europe and Australia and New Zealand. 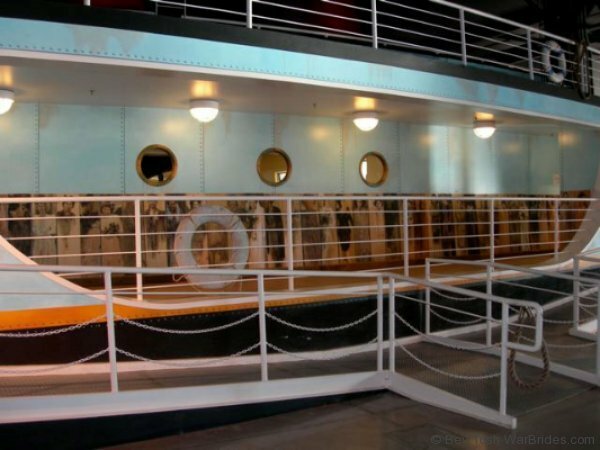 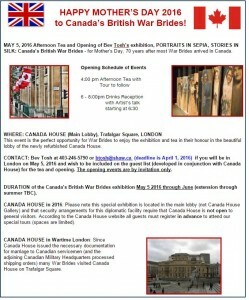 This exhibition is traveling throughout Canada, and aboard. 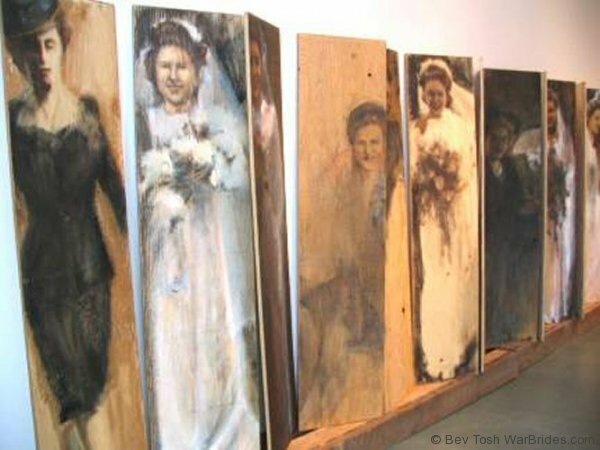 Artist, Bev Tosh, will be in attendance for the opening on June 15th (10-4). 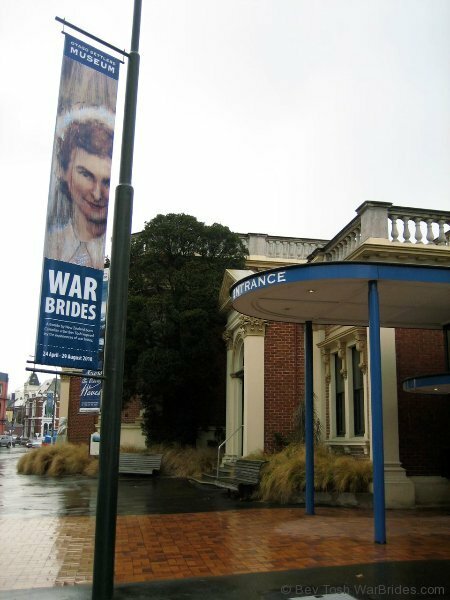 War Brides includes 30 full-length portraits and personal stories. 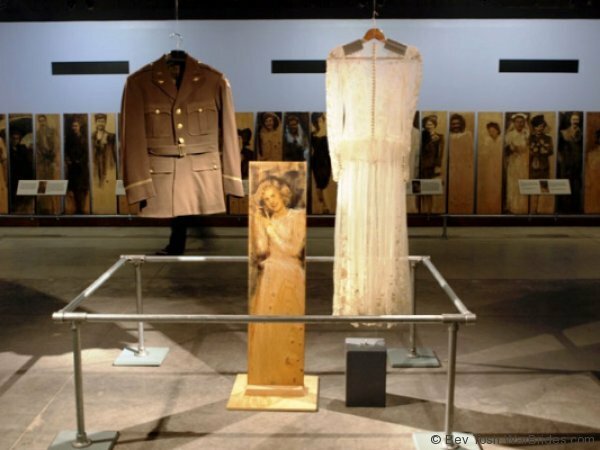 Collectively, they pay tribute to the tens of thousands of war brides for whom a leap of faith meant not just a new husband, but a new country. 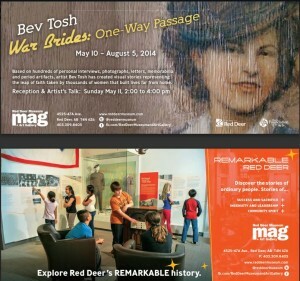 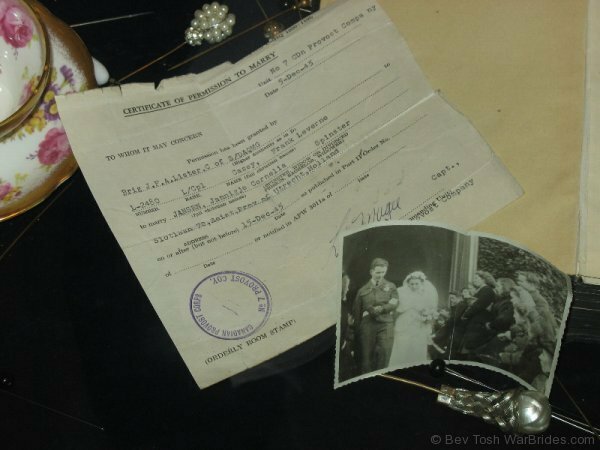 Memorabilia from regional war brides lends a West Coast focus to a wide cross-section of Canadian portraits and stories. In 1946, Canada House was where travel documents were issued to enable the more than 40,000 young British women–war brides who had married Canadian servicemen–to embark on new lives in Canada. 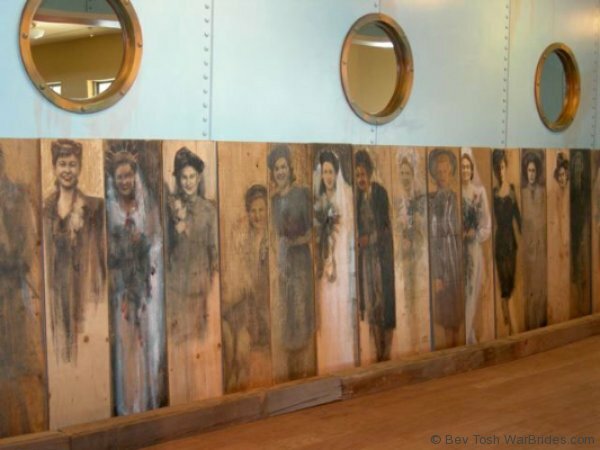 What had been troopships throughout World War II were later nicknamed “bride ships” as they ferried tens of thousands of young women from Southampton and Liverpool to the port of Halifax, Nova Scotia and onwards to their husbands across Canada. 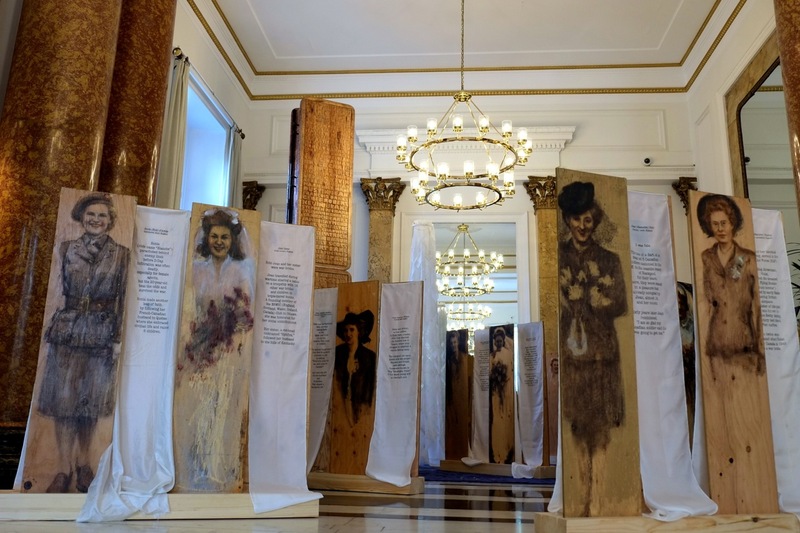 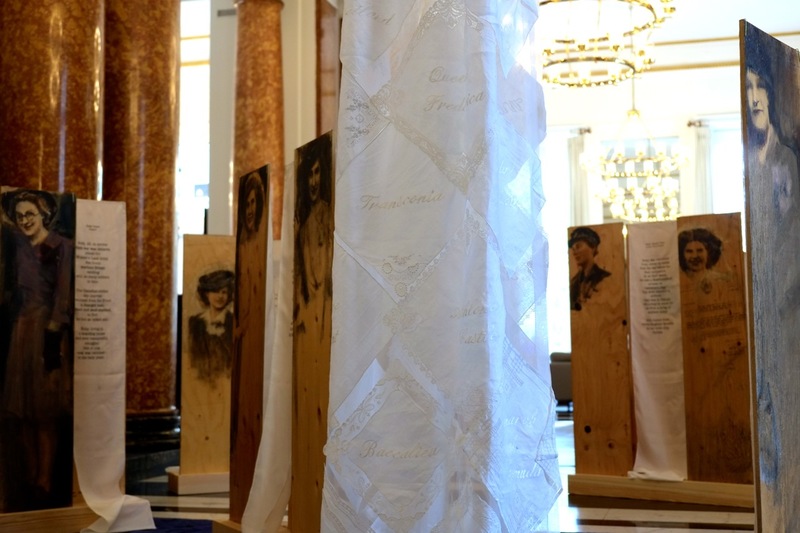 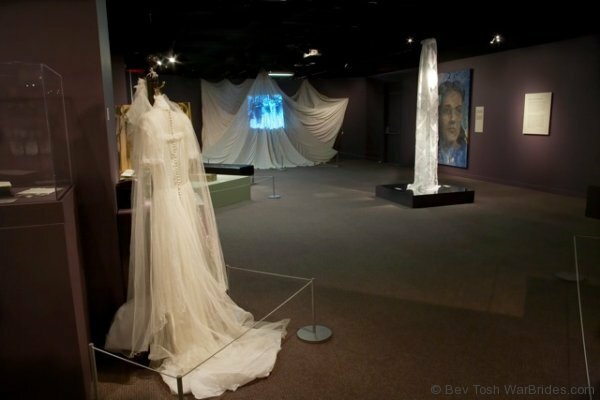 This exhibit of 40 full-length portraits in the Trafalgar Square Lobby of Canada House is accompanied by a length of silk that tells the personal story of each bride. 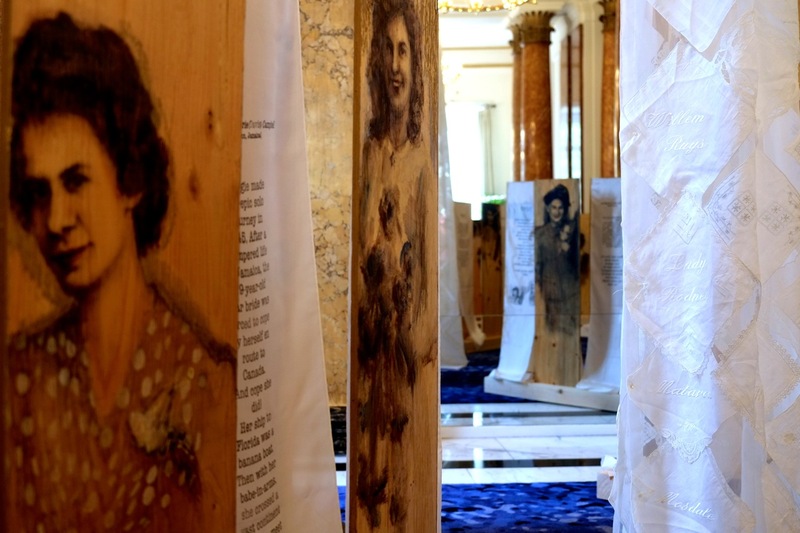 Collectively, they pay tribute to the tens of thousands of war brides for whom a leap of faith meant not just a new husband, but a new country. 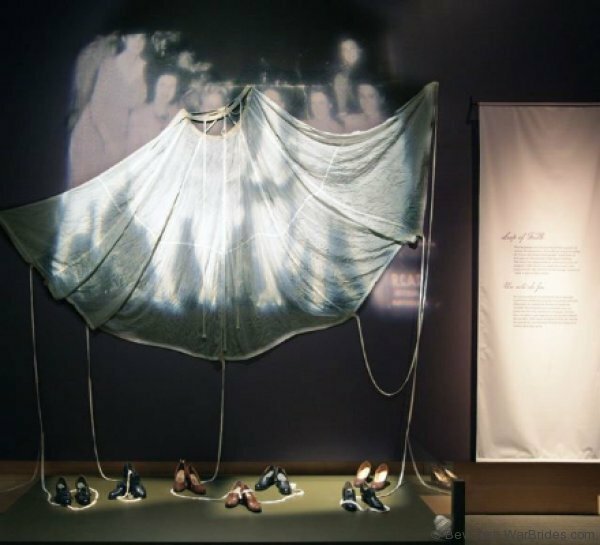 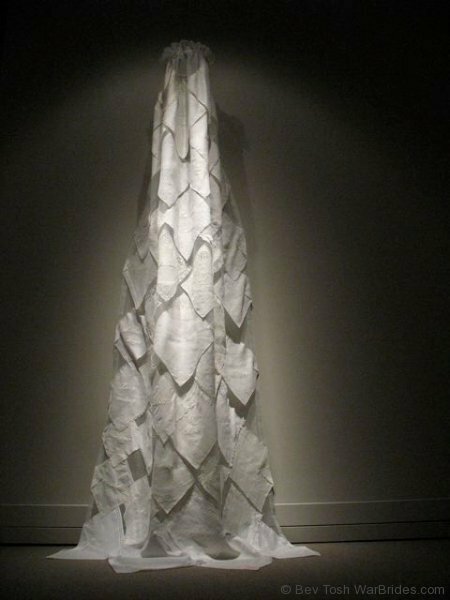 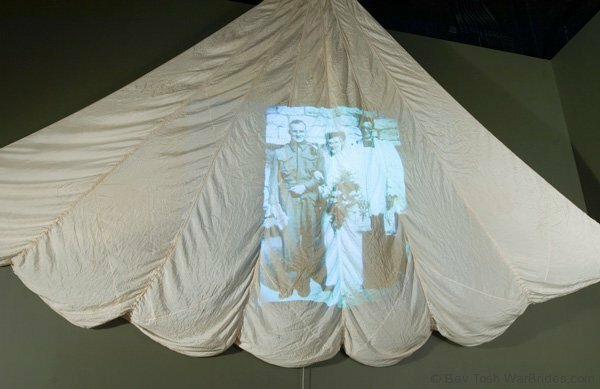 The artist has also embroidered names of bride ships onto vintage handkerchiefs to create a translucent sculpture titled Veil of Tears. 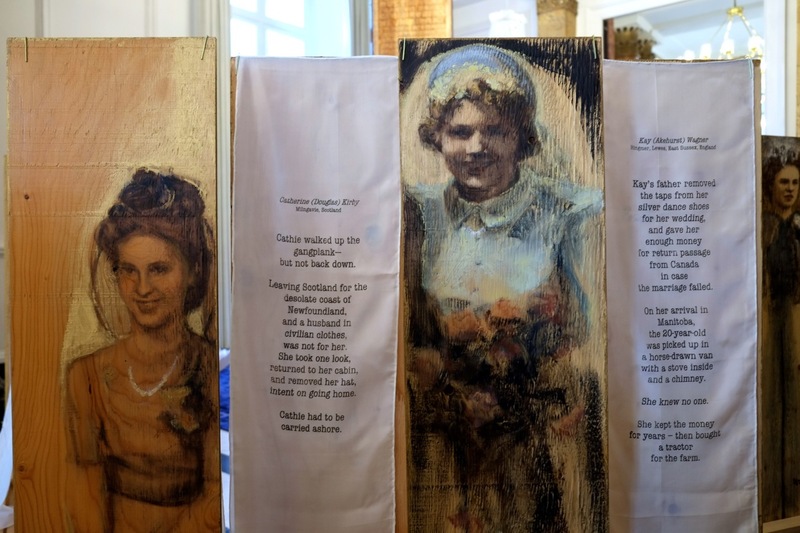 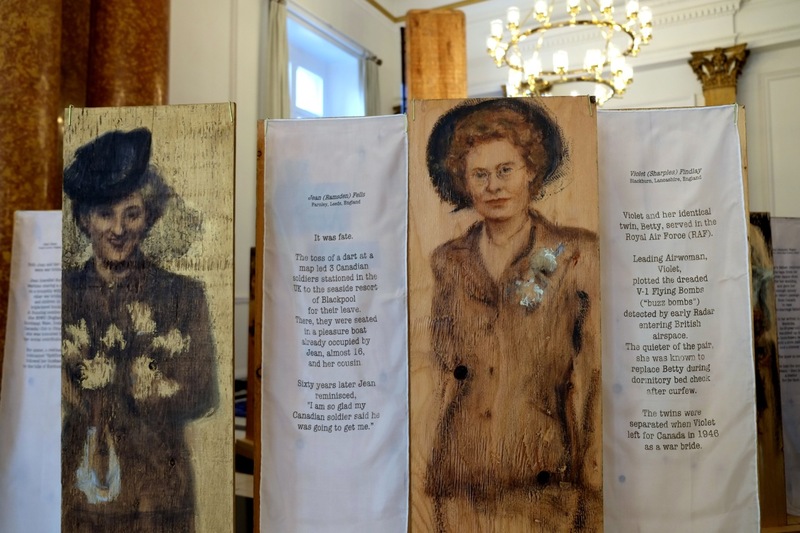 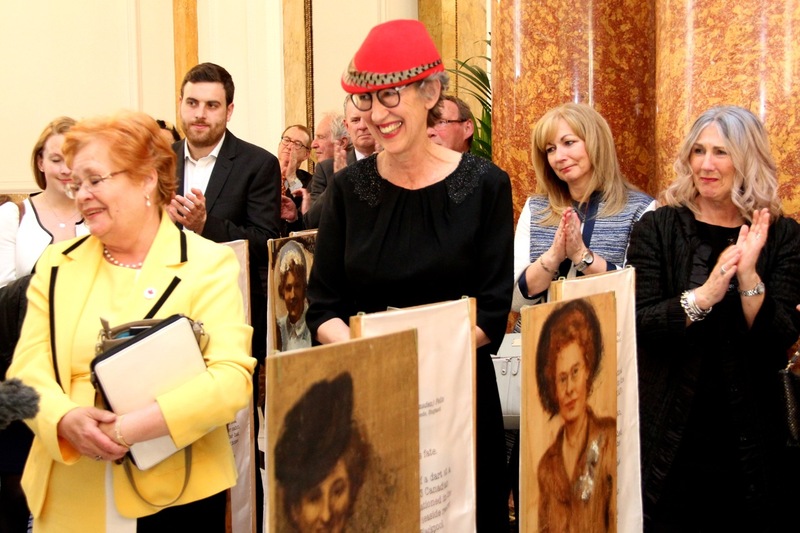 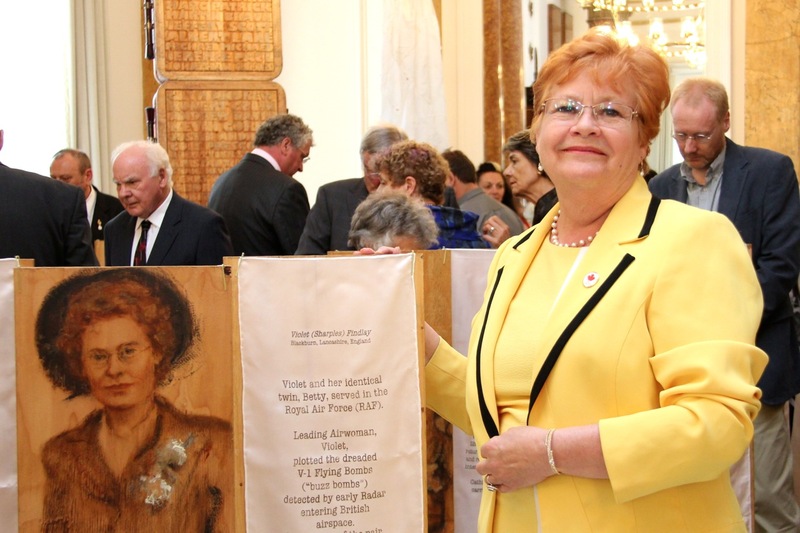 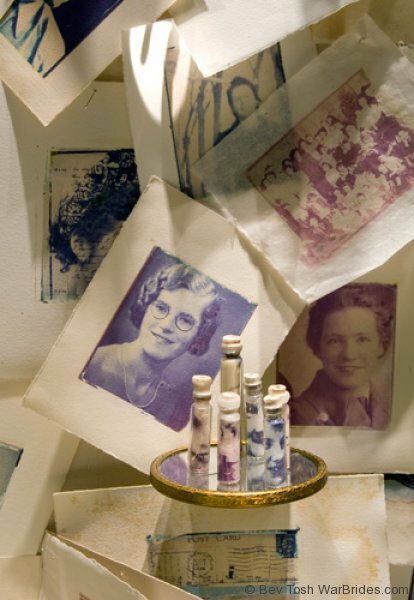 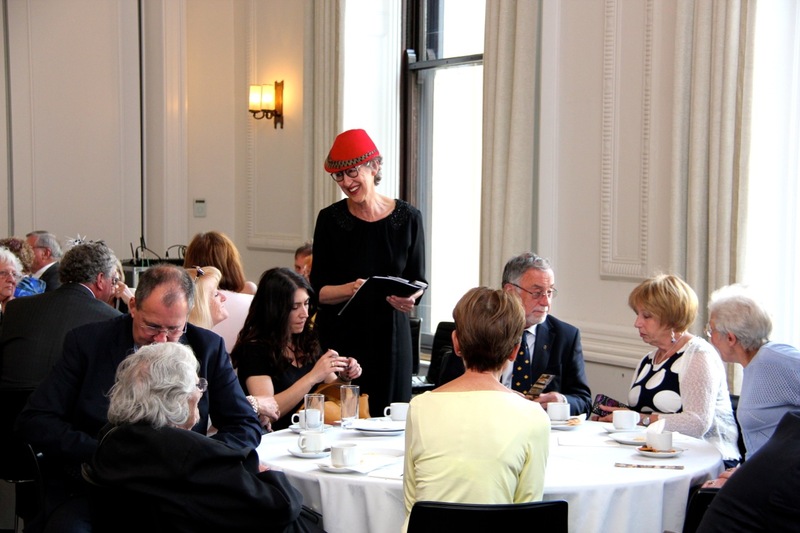 Portraits in Sepia, Stories in Silk celebrates the 70th anniversary of British war brides’ passage to Canada, and their one million Canadian descendants. 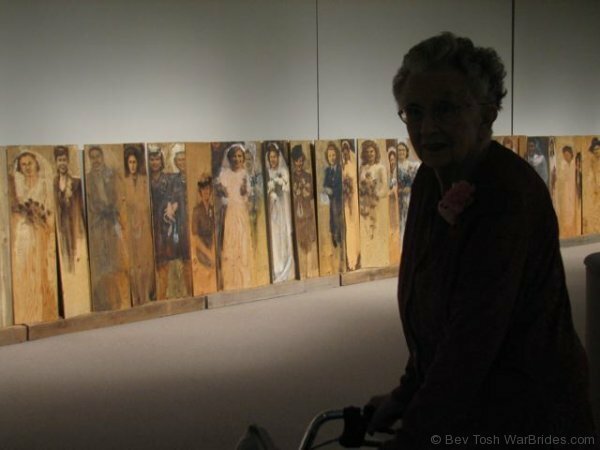 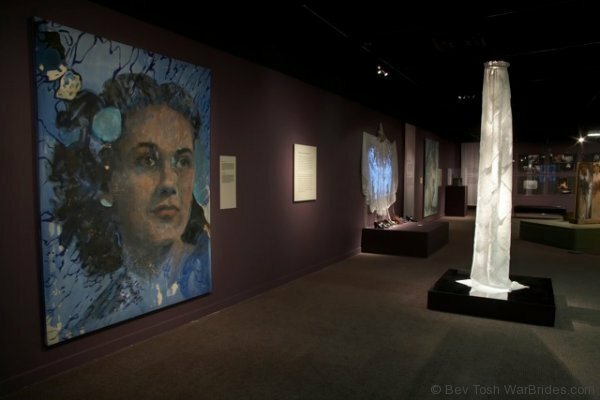 The Canadian Warplane Heritage Museum is proud to present a special exhibition by Canadian artist Bev Tosh, titled War Brides and Fly Boys; Leaving Canada for Love. 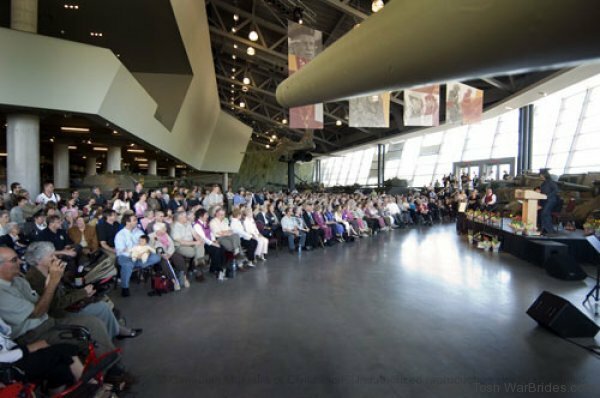 The British Commonwealth Air Training Plan brought thousands of airmen from overseas to Canada for pilot and air crew training. 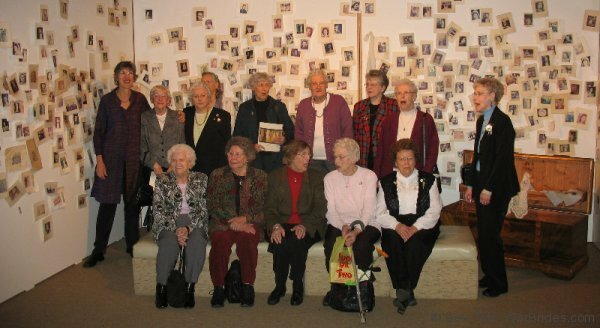 Contrary to what we normally think of as war brides, many of these men met and married Canadian women who left Canada to start a new life overseas. 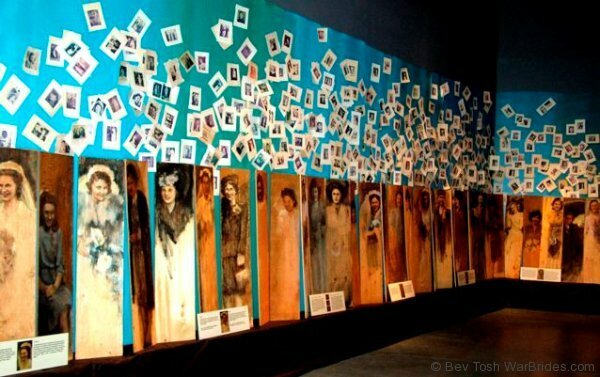 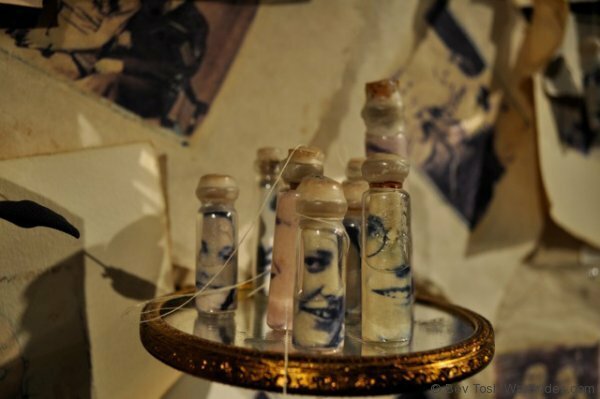 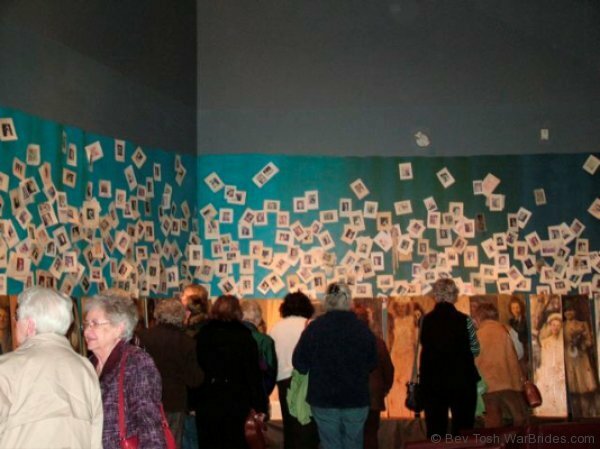 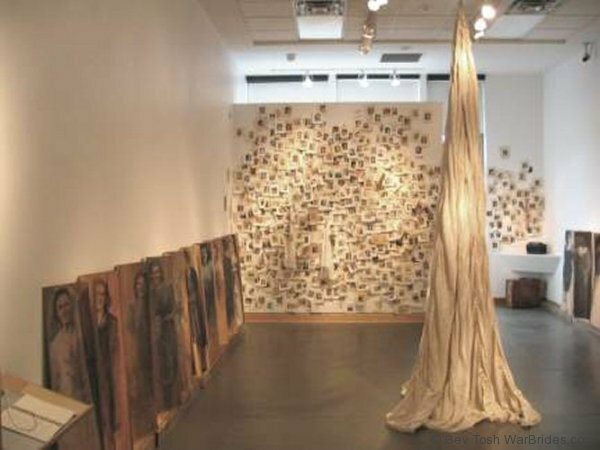 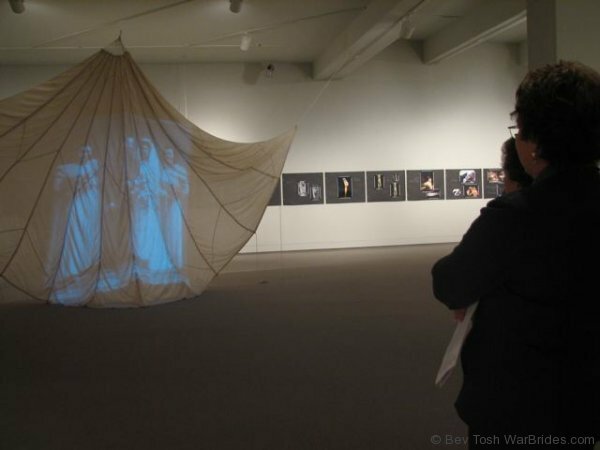 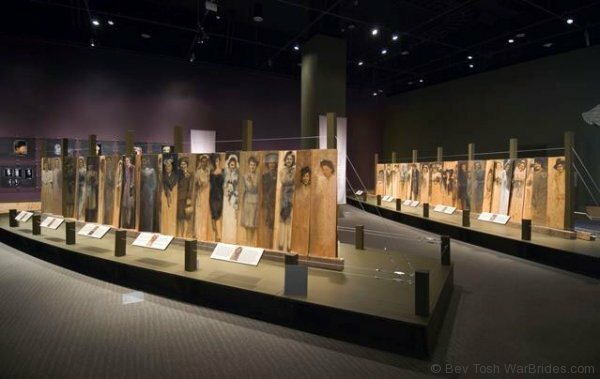 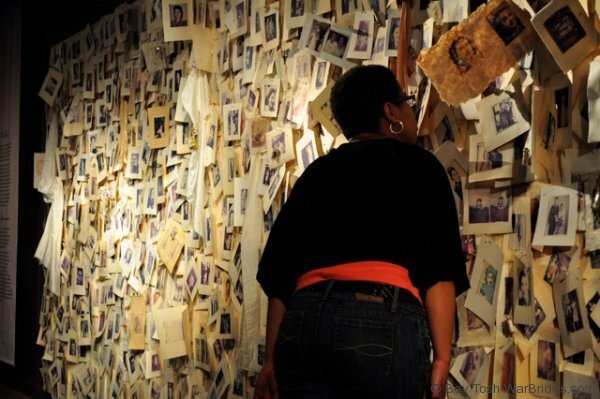 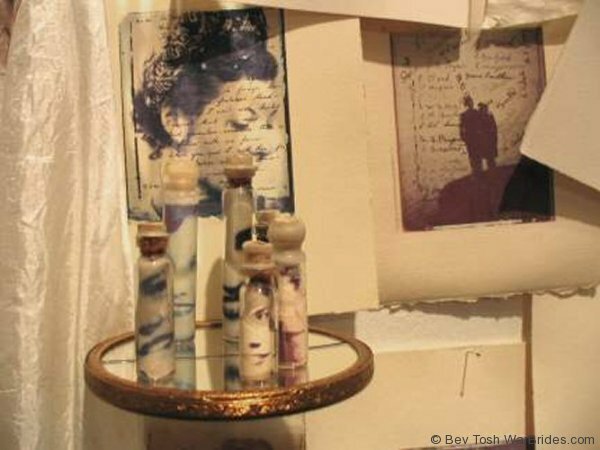 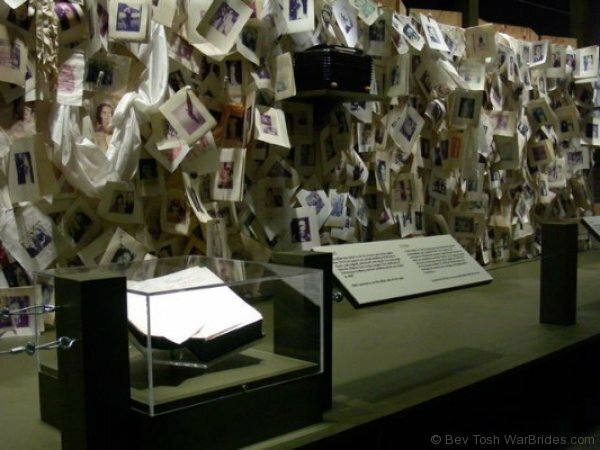 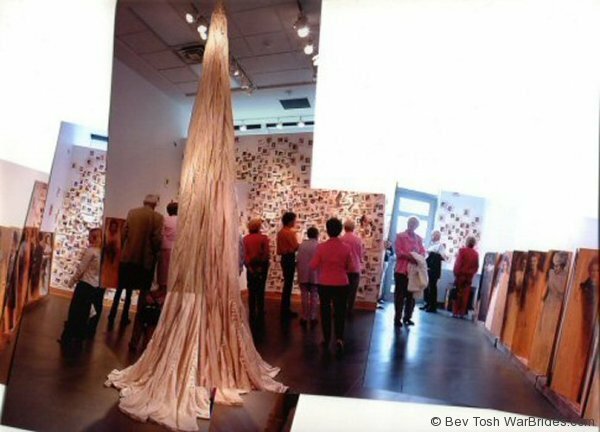 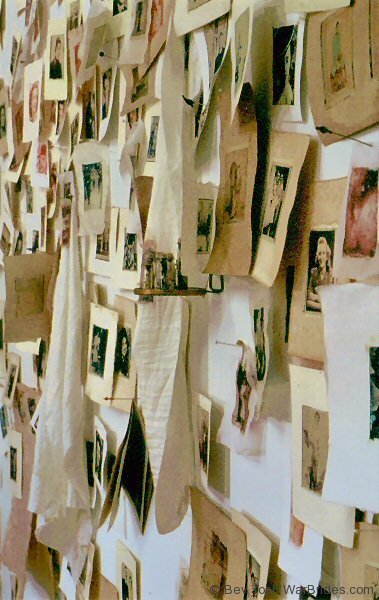 Based on hundreds of personal interviews, photographs, letters, memorabilia, and period artifacts, artist Bev Tosh has created visual stories representing the leap of faith taken by thousands of women that built lives far from home. 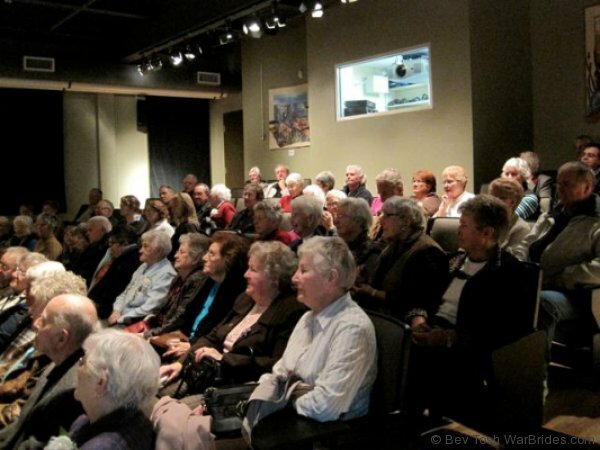 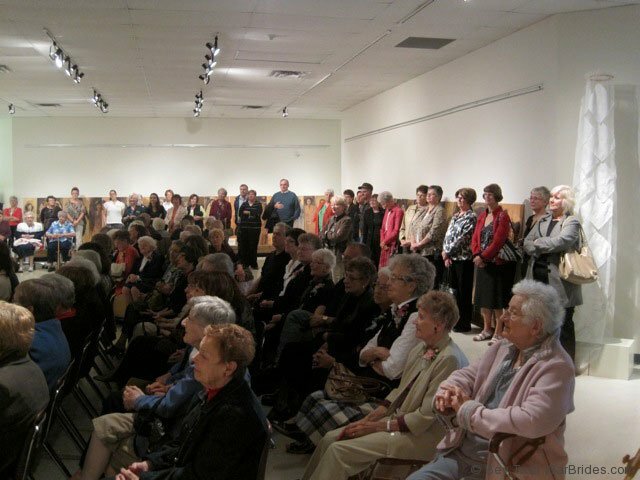 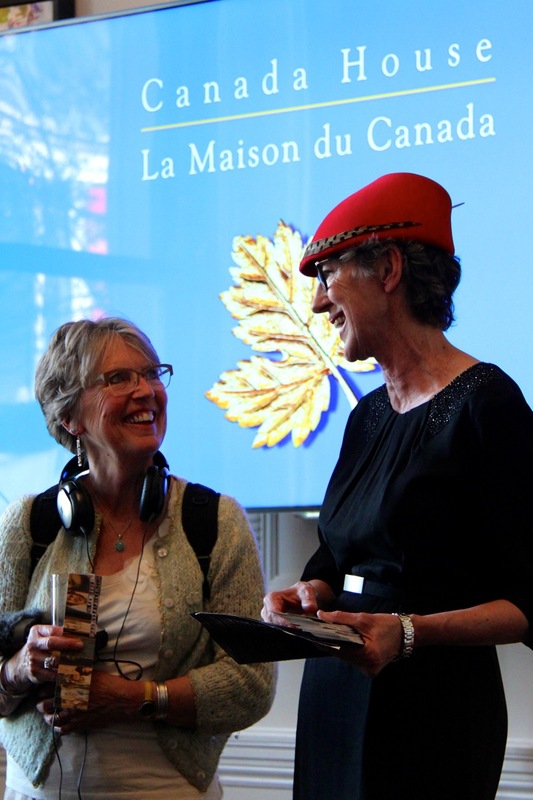 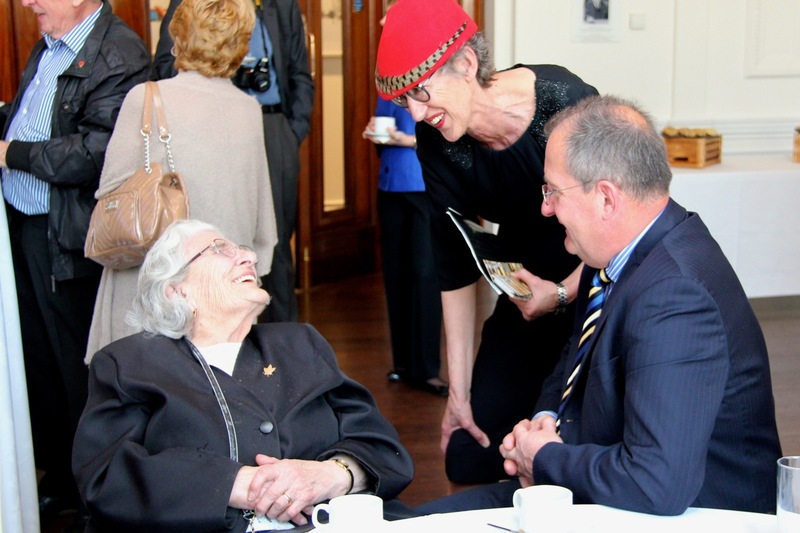 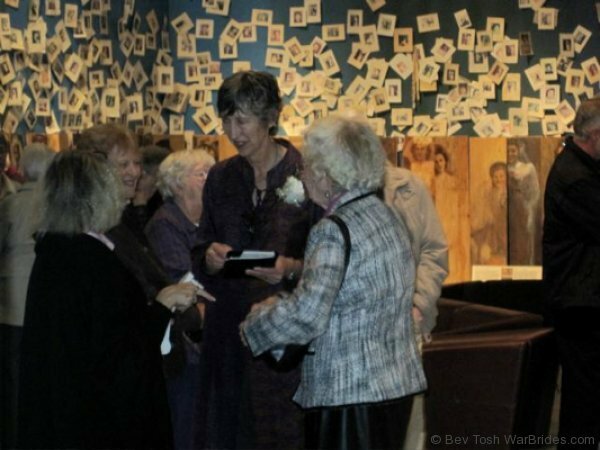 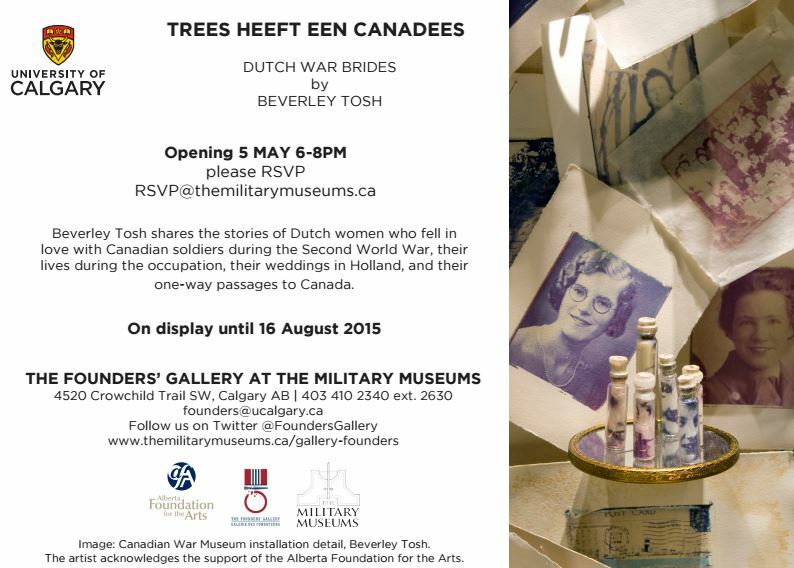 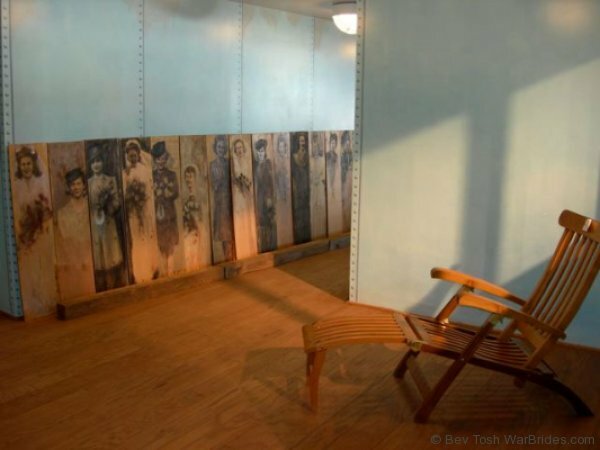 The National Liberation Museum in Groesbeek (near Nijmegen), the Netherlands is hosting an exhibition of Dutch war brides to Canada, June 6 to November 24, 2013 by Canadian artist Bev Tosh. 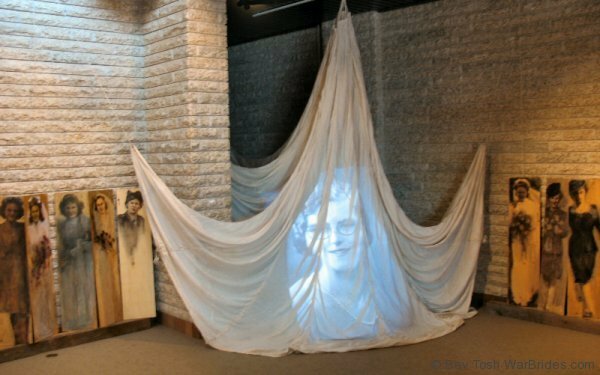 Art, audio clips and artifacts combine in this unique display. 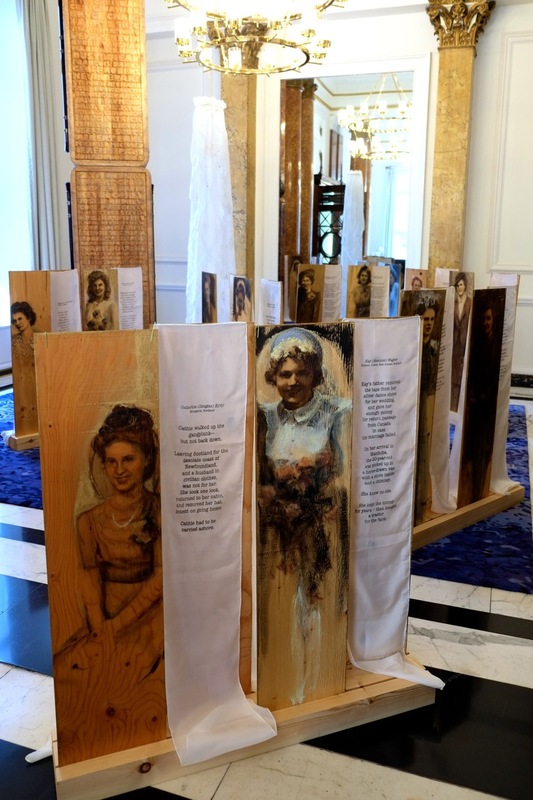 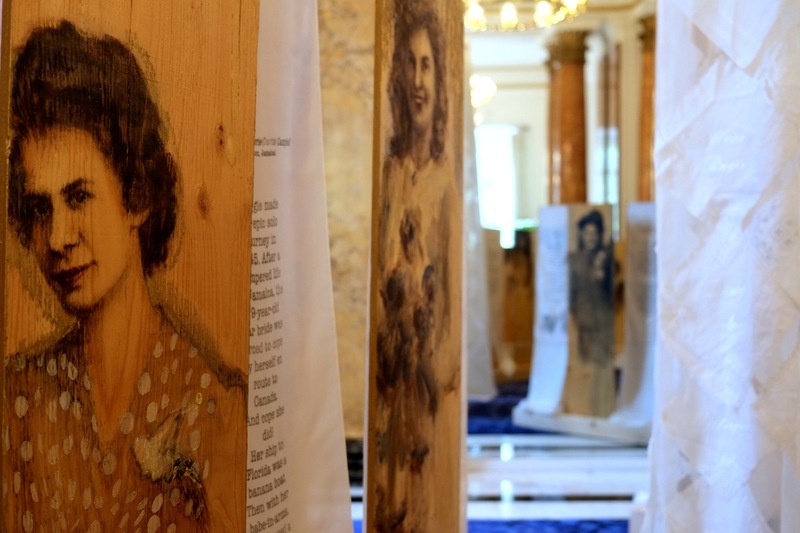 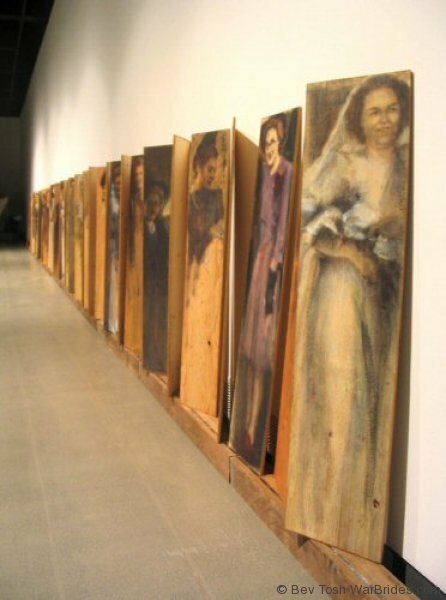 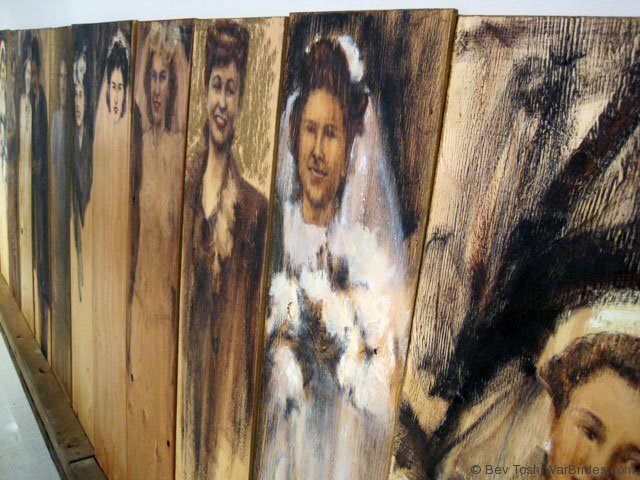 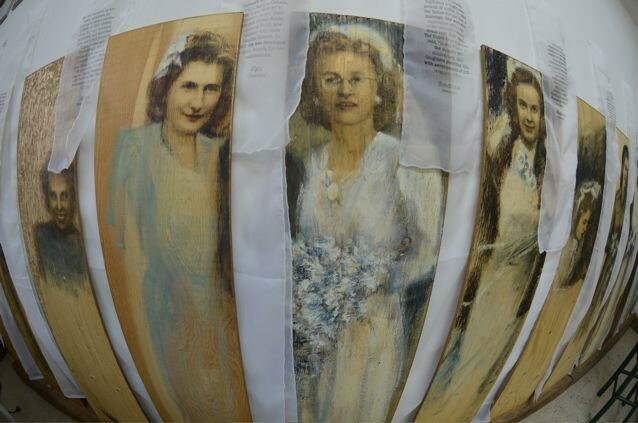 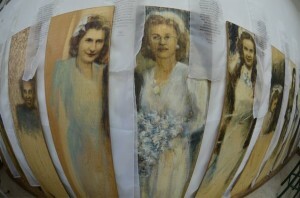 Over 20 new portraits on wooden panels – all with story panels on silk – stand shoulder-to-shoulder with Hetty’s wedding dress and short film of her wedding in Gorinchem in 1945. 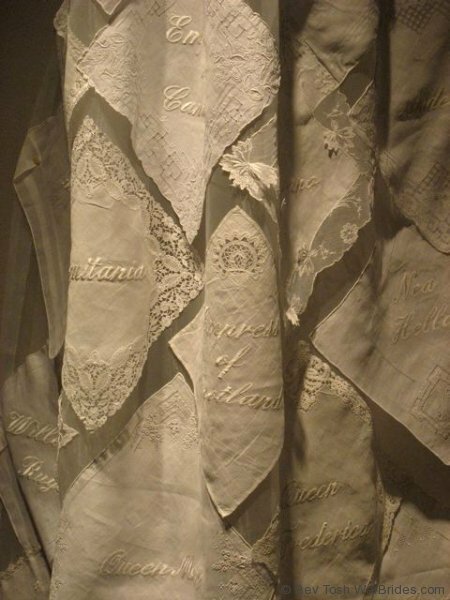 A veil of vintage handkerchiefs – each embroidered by the artist with the name of a “bride ship” – speaks of ocean voyages and tears.